Payment plugin allows you to collect credit card information online to manually process the payment offline. Offline Credit Card Processing payment plugin for VirtueMart allows you to collect credit card information online to manually process the payment offline. This plugin stores the first digits of the credit card to your database encrypted and send the last digits to a specified email address. First digits are stored encrypted in the database, and the last digits are sent by email. 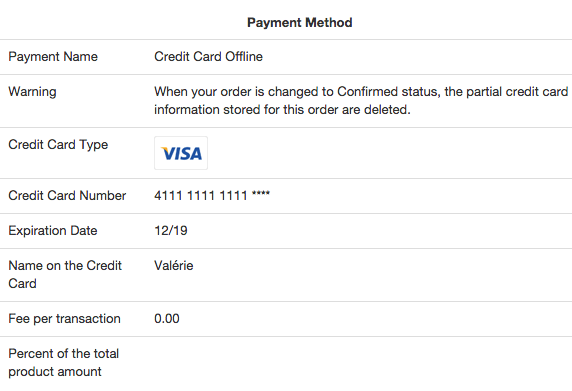 The plugin includes the option to delete the credit card information in the VirtueMart administration once the payment has been processed. 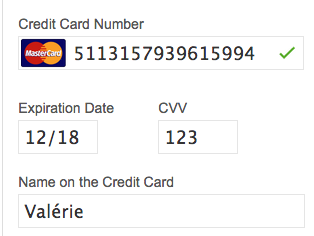 It detects if the card is American Express and prompts the customer for a 4 cvv code instead of the 3 cvv code. A complete tutorial is available, as well as a demo for VM2 and VM3. SSL certificate (where locally required). 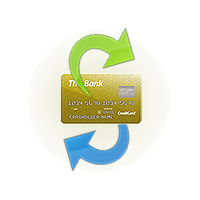 The offline credit card processing plugin is easy to install via Joomla extension manager. The offline credit card processing plugin is easy and intuitive to set up, however, should you have a problem, questions or suggestion, please use the ticket system.